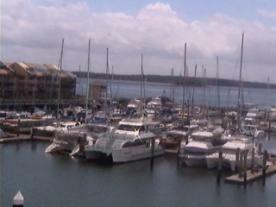 Do you have, or know of, a company or business that operates in Hervey Bay? Hervey Bay is a town in south eastern Queensland, Australia. The 'Bay' has a sub-tropical climate with no real extremes (average 30 degrees Celsius in summer and 23 degrees in winter). The city is situated north of Brisbane, and is only a short distance from Fraser Island, the world's largest sand island, and Lady Elliot Island, a resort island on the Great Barrier Reef. The local economy relies on tourism, for which whale watching, Fraser Island and Lady Elliot Island are the major drawcards. The Emeraldene Inn and Eco-Lodge offers eco-friendly accommodation in the Pialba / Urraween region of Hervey Bay with 14 impeccably presented rooms set against 2 stunning acres of natural bushland and landscaped gardens. Come and enjoy staying in this peaceful and relaxing eco-resort with inviting pool, BBQ and outdoor entertaining area, parking for trailers and boats and a guest laundry. Come and enjoy all the attractions Hervey Bay has to offer and let Emeraldene Inn and Eco-Lodge organise your whale watch tours and cruises. Freedom Private Charters in Hervey Bay are available for groups of up to 40 people and are ideal for intimate weddings, anniversaries, special birthdays, Christmas Parties or work related functions. The food is superb and served buffet style, but finger food, fruit and cheese platters and canapes are also available as per your desires and the Freedom III is fully licensed and offers music and entertainment. Day charters are also available and can include swimming and snorkeling at Pelican Bank. Palms Caravan Park in Hervey Bay is your pet friendly park offering quiet surrounds and has accommodation from shacks to cottages to cabins and deluxe cabins as well as caravan, camper and tent sites and a number of on-site caravans are also available. Guest staying at the Palms Caravan Park will receive the highest quality service and enjoy facilities like a saltwater pool, camp kitchen, laundry, amenities block, L.P.G Gas and even tour bookings. 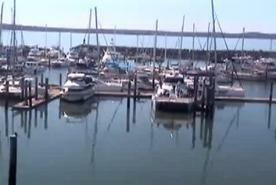 Hervey Bay offers incredible whale watching in season and is known as the whale watch capital of the world. Whalesong Sunset Cruises and Parties offer you a whale of time with magical sunset views of Hervey Bay and Fraser Island. Charters are available for twenty people or more and include divine food and drinks from a well stocked bar. The Whalesong Sunset Cruises and Parties are ideal for weddings, functions, parties, tour groups and more and guests can look out for dolphins, turtles and dugongs while on the cruise. Aquavue Cafe Functions offer the perfect venue in Hervey Bay with magnificent ocean views, perfect for your Corporate functions, Christmas parties, Birthdays, Weddings, Anniversaries, Family Gatherings and any celebration you can thing of. Be assured of great food, the best views and the ideal venue all suited to your budgetary requirements. Combine your events with watersports equipment hire and make your celebration an adventure-packed occasion. Windmill Caravan Park is 4-star AAA rated and centrally located in Hervey Bay with superb facilities and friendly service. Windmill Caravan Park offers 60 sites including internal en-suite cabins and has a swimming pool, a games room with billiard table, a large camp kitchen and more. Serviced caravan and tent sites are available on grass or concrete and caravan sites have power and water, choose from sunny or shady positions. Located only 200 metres from the beach, facilities at the park include a laundrette, Wireless Internet, Internet kiosk, Fax/Photocopying Services and so much more - come camping. Harbour View Caravan Park in Hervey Bay welcomes you to a fantastic location near the marina and Fraser Island and offers incredible value including senior citizen discounts, hired campervans and off-peak periods, and pet friendly sites are available. Facilities and features are many and include close proximity to the stunning beach and marina with the many whale watching boat tours waiting, a swimming pool at the caravan park, a Camp kitchen with free BBQ and TV, deluxe fully equipped villas and cabins plus a shop with groceries, ice, souvenirs and so much more. Whalesong Weddings and Functions in Hervey Bay is the perfect venue for your special wedding day, party or celebration, and can cater for up to 95 people with finger food to suit all tastes being served by staff the best option, and for smaller groups, how about a formal seafood buffet or social BBQ, the menus are varied and staff are open to suggestions about drink and food. Surround sound and microphone is available for music and or speeches and guests can enjoy dancing on board for a wonderful and memorable time, book today. Freedom Fishing Charters welcome you aboard the Freedom III and offers fishing along the Great Sandy Straits, Hervey Bay, Fraser Island Waters and Southern Great Barrier Reef. Whether your are fishing for food or out to enjoy a tag and release charter, these sheltered waterways provide perfect fishing opportunities. Long charters are available with cabins available on the catamaran and the charters include fishing gear if needed and bait. Mantra Hervey Bay is located on the esplanade overlooking the Urangan boat harbour and offers stunning rooms, suites and apartments with marina views. The resort offers incredible facilities including a swimming pool, sauna, exercise room, BBQ facilities and adjoining restaurants and shopping opportunities. This is whale watching country and Mantra Hervey Bay is well situated to take advantage of the many whale watching tours on offer at the marina. Mantra Hervey Bay is also the ideal venue for small to medium sized conferences, meetings and special events including fabulous weddings. Happy Wanderer Village is set along the Torquay Lakes in Hervey Bay and offers a large variety of accommodation set in beautifully landscaped sub tropical gardens and offers an excellent range of family facilities to enjoy. Camping sites range from grassed to superior en-suite sites and suit every budgetary need with shady locations and manicured lawns and excellent facilities and amenities. Alternatively guests can choose from 3 Bedroom superior cabins, 2 Bedroom Villas or the budget cabin range, there is a style to suit all needs. Facilities are many and include a shop, a saltwater pool, a Spa and swim jet pool, BBQ areas, TV room, canoe, bike and fishing rod hire and a whole lot more and tours are available. Blue Dolphin Marine Dolphin Watching Tours offers morning tours on the waters of the Great Sandy Straits by Hervey Bay and Fraser Island and tea is provided. Come and experience the joy of watching the bottlenose dolphins and occasionally the indo-pacific humpback dolphins which are lesser known. Dugongs, turtles, seabirds and other marine life also reside in these waters and sightings of dugongs especially is a rare treat. Bay Bed and Breakfast is located in the beautiful Hervey Bay in Queensland, Australia and is conveniently close to restaurants, the beach, shops and clubs. Bay Bed and Breakfast offers comfortable, quality bedrooms with ensuite and shared bathrooms or a private suite with private lounge, bathroom and laundry. Before heading out for your day of whale watching, water sports and tours, enjoy a fabulous Continental and Home-Style cooked breakfast in the luxurious dining room or out on the shady rear terrace. If you prefer to stay closer to home, the Bay Bed and Breakfast has a heated swimming pool and lovely tropical gardens. Peppers Pier Resort takes it's design from the form of ocean waves and is situated opposite the famous pier on Urangan Beach with unique opportunities of whale watching in the glorious Hervey Bay. Peppers Pier Resort offers luxurious apartment style accommodations and suites with all featuring a spa bath and balconies and most with views over Hervey Bay and Fraser Island. Come relax and indulge at the Spa Botanica with the various spa treatments on offer or languish by the lagoon pools, and a health club is available. Dining options include casual dining at the Bayswater Bistro & Bar with magnificent views or the Salt Cafe with it's contemporary fare. Peppers Pier Resort also offers conference and wedding facilities at this perfect venue. Hervey Bay Whale Watch Weddings offers the licensed Quick Cat 11 for you and your guest to enjoy your wedding with a difference cruising along the Great Sandy Straits and Fraser Island and wedding packages are available to suit every budget. There is a limousine service for the bride and a bus pick up service for guests, a choice of beverages and music. While Hervey Bay Whale Watch Weddings do not cater to food, they do offer snacks and platters or you can cater yourself. Book for the wedding of your dreams today, it's guaranteed unforgettable. The Blue Dolphin Marine Tours Champagne Sunset Sail invites you to come aboard the luxury yacht, sit back, relax and enjoy sipping on champagne as you cruise around Hervey Bay and Fraser Island. Beautiful panoramic views are on offer as the sun slowly sets over the magical waters of the Great Sandy Strait. Come unwind and start your evening with a stunning sunset sail with Blue Dolphin Marine Tours. Peppers Pier Resort Hervey Bay Weddings are held at this picturesque venue with the most romantic setting ideal for creating the best wedding memories. Nautical inspired weddings can be small and intimate or large with up to 180 guests catered for banquet style. Not only is the setting perfect, but the food offers a gastronomic journey of canapes, platters and buffets and the service is friendly and professional ensuring a special and memorable day. Aquavue Adventure and Tours offers fully escorted and guided tours across Hervey Bay and Fraser Island on a jet ski, come experience the thrill. No license is necessary and you get a short training session of how to operate these powerful fourstroke jetskis. Jet ski tours to Fraser Island also includes a full-day tour of the island by 4WD bus, so come and enjoy an adventure you will never forget.